Perry Bacon is a managing director and wealth advisor with William Blair’s Private Wealth Management group. He provides comprehensive solutions for an array of individual and corporate clients. He assists individual investors in determining their investment objectives, assessing risk, and identifying suitable investment strategies. 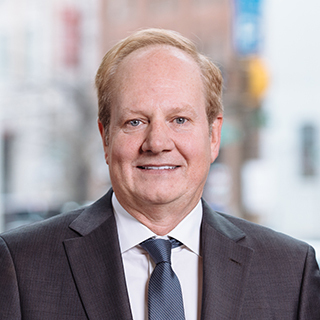 As a specialist in qualified retirement plan consulting for a range of corporate clients, Perry advises on matters related to plan design and plan administration. His services include vendor searches through competitive bid, investment consulting, drafting plan investment policy statements, and creating effective participant education campaigns. In addition, Perry offers investment analysis for plan trustees, investment manager searches, and reporting. Before joining William Blair, Perry was a partner with Brown Advisory Securities, LLC and a director at Deutsche Banc Alex. Brown. Perry is chairman of the board, Woodbourne Center. He received a B.A. from George Washington University and an M.S. from Johns Hopkins University.